We can Print almost Anything on almost Anything. 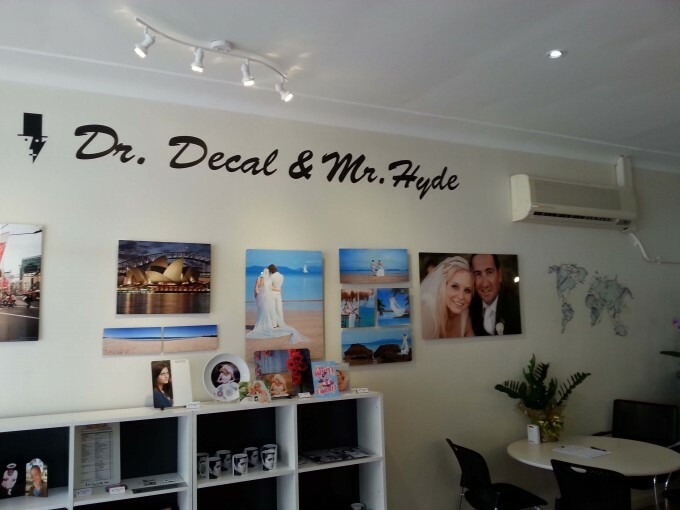 We, Dr. Decal & Mr. Hyde have continued to be the leading distributor of digital printing decal products in Australia since 2001. Now, we have extended our business to the international markets to provide our unique and innovative decal solutions to various industries, businesses and home users across the world. Our unique and premium decal paper products have been supplied to christening candle businesses, guitar makers, plastic modellers, tattoo artists working in the film and TV industry, interior designers, art and craft classes, and many more. Our products do not require any special equipment, other than a home printer, which is why it has been chosen by hobbyists and home business customers from all around the world. The diverse range of decal paper products that we offer allows you to re-produce images on a variety of surfaces. Our products allow you to print on conventional items such as skateboards and guitars whilst maintaining the integrity of the texture underneath. This is because our products have a very high quality finish, leaving barely a trace of image transfer. For example, the ceramic plates that we decorate feel much more genuine. It looks like the image has been directly printed onto the plate, instead of a sticker. We pride ourselves on always working to innovate new decal media products that allow you to print on previously inaccessible surfaces. For instance, with our media you can now print full resolution and colour images onto cars, metal, concrete walls, and leather. We offer and develop innovative decal solutions to meet your needs. This is because we are confident that we can print almost anything on almost anything.